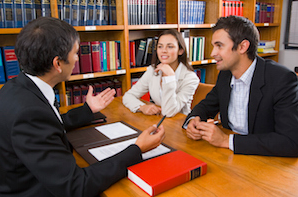 How Should You Prepare for the First Meeting With Your Defense Attorney? Preparing for your first meeting with your criminal defense lawyer is important. Regardless of how good your attorney might be, he or she must rely on the information you provide. If this information is inaccurate or incomplete, it can be harmful to your case. Interacting with law enforcement can be stressful, but it is imperative to remember the details of your encounters. Small details about what was said or where you were can be critical to your defense. If you happened to incriminate yourself during questioning, details regarding the circumstances under which you were questioned can assist your defense attorney in preventing those statements from being admitted into court. Even if your lawyer cannot prevent the statements from being admitted, it is still important to know the exact details because they will more than likely come up during your trial. In terms of what happened, you should be cautious that any statements you make (written, electronic, verbal) can be used against you. Any accounts that you have about your case should be shared only with your lawyer, and only when you are in a private, confidential location. Hiding unfavorable details from your criminal defense attorney is never a smart idea. A skilled prosecution team will not have any problems uncovering these facts on their own. Concealing such details only makes it more difficult for your attorney to prepare an adequate defense. For example, if you are accused of harming someone with whom you have a grudge or history of arguments, tell your lawyer about this. He or she needs to know these things before they come up at trial. You should provide your lawyer with any documents you receive in connection with your cases. Examples of this include: business cards from police officers, detectives, or FBI agents; search warrants; search warrant tabulations (list of items seized); data master test results; bond receipts; etc. These documents will help your lawyer investigate your case further and to fully understand what occurred. Criminal defense lawyers have access to a diverse range of professionals and experts that they can utilize for the scientific or technical aspects of your case, but these experts’ services are expensive. Sometimes it is necessary to hire a private detective to further investigate the case, find witnesses, and offer testimony related to their investigation. Sometimes expert witnesses need to be hired to analyze your case. Sometimes experts are required to present testimony and offer a defense. Your defense attorney should know what financial resources you are willing to commit to your defense. Lawyers accept payment from a variety of sources: credit card, cash, check, money order, wire transfer. Many lawyers will accept payment plans, but all lawyers will require some form of payment to provide any form of legal services on your behalf. If you’ve been charged with a crime, it’s important to contact a skilled defense attorney as soon as possible. At Hilf & Hilf, PLC, we’re ready to put our years of experience to use as we build the strongest possible case in your defense. Contact us today to request a confidential consultation!